Can’t catch your breath these days? Lauren provides a space where mental health is prioritized and students can reconnect with what brings them meaning in their lives. Lauren wants students to know that they matter and she helps every student cultivate their personal purpose. Lauren’s natural positivity shines with any audience, particularly when working with college students. Lauren cares passionately about collegians and values what every student has to say. During the presentation, students will participate in an active dialogue with Lauren as she wants to have a conversation rather than a lecture. She likes to talk with students, not at them. Lauren has traveled the country and spoken to over 50,000 students but she treats every talk like it’s her most important one. She takes the time to meet with students before she speaks and afterward, she stays and sits with every student that has a question or comment. Lauren greatly values every person in the room and she feels that she can learn something from every student that attends. Lauren respects every community that she has the honor of being a part of and she considers her journey as a speaker to be one of the greatest joys of her life. 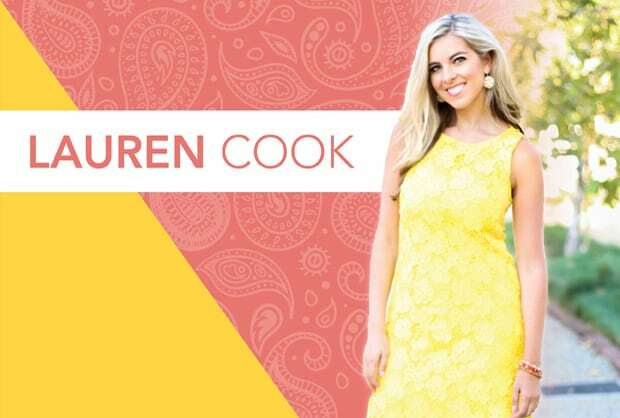 Lauren Cook, also known as The Sunny Girl, is a graduate from UCLA with a double major in Communication Studies and Psychology. Lauren currently works as a therapist at USC’s Student Counseling Center and is a Professor at Mount Saint Mary’s University. 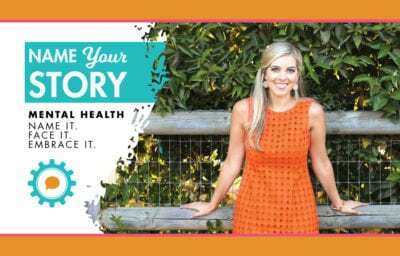 As the author of The Sunny Side Up and now with her latest publication, Name Your Story, she travels around the country speaking about mental health, happiness, and wellbeing. Lauren has worked at NBC Network News, E! News, and Disney during her time in college and she is a proud member of Chi Omega sorority. 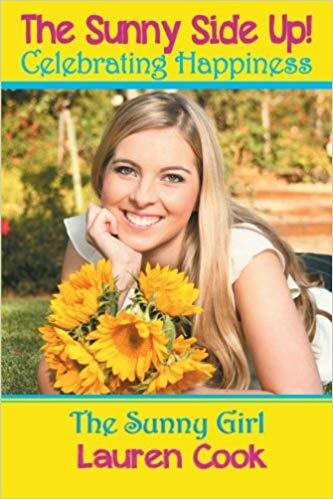 Lauren graduated from USC with her Master’s in Marriage and Family Therapy and is now working towards her doctorate in Clinical Psychology at Pepperdine University. She currently lives in Los Angeles. Ever experienced a panic attack before? Felt too stressed or sad to get through your day? Even felt suicidal? You’re not alone. The problem is that not many of us are talking about it. Just like we’re seeing a #metoo movement around sexual assault, we need a #metoo movement for mental health. Too many of us are suffering silently. As a mental health professional, Lauren Cook provides an open, honest, and safe space to discuss how to navigate and cope with the challenges surrounding mental health. The talk is broken down into three parts: Name It, Face It, and Embrace It. You’ll learn how to recognize some of the signs and symptoms of the more common disorders and also learn how to access and share resources. Lastly, Lauren will cover self-care and how you can integrate wellness into your life on a daily basis. 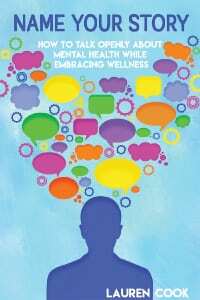 how to harness multiple resources of help through counseling, family and friends, exercise and more. There’s a reason that you said “yes” to your organization on Bid Day. But why do you continue saying “yes” and showing up? Chances are, it is because you have found a community in Greek life. Lauren Cook shows how this community can extend beyond college. Saying “yes” to our chapters can be a lifetime experience, not just something that you “were” a part of back in the day. Lauren shares how our lives can be shaped personally and professionally by the Greek community. Indeed, Lauren shares how her time working at Disney, traveling the country, and the ring on her finger all came from saying “yes” to not only her chapter, but the Greek community as a whole. Lauren invites members to be openly proud to identify as Greek…you never know what or who might change your life when you do. to find pride within the Fraternity & Sorority Life community and challenge the negative stigmas held against the Greek system. Happiness looks different for each person, so how do we achieve joy regularly, both in our own lives and in our membership experience? 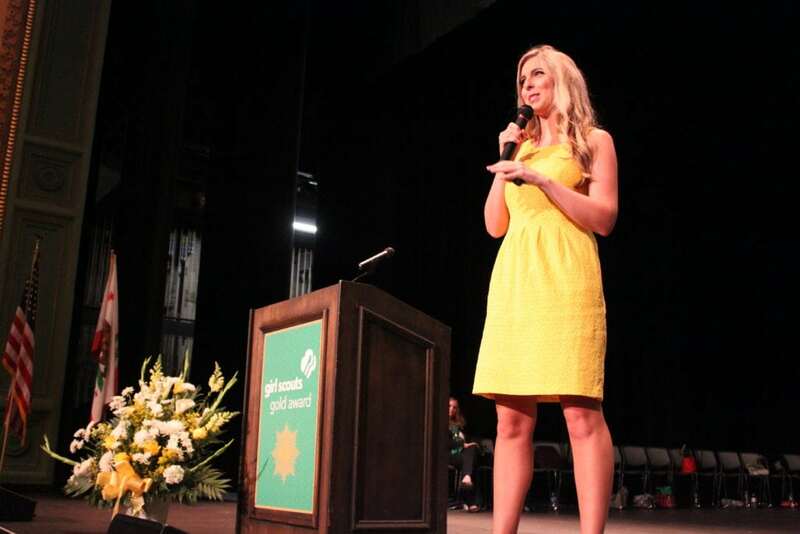 Lauren highlights how to cultivate happiness through goal setting, gratitude, and giving back. She shares how we can take ownership of our lives by setting both personal and professional goals while learning how to access mentorship within our organizations. Gratitude is also key and Lauren informs how we can implement the Five Daily Gratitudes so that we regularly notice the positives in our lives. Lastly, Lauren highlights the need to give back. She informs how we can move past the urge to Netflix binge and invest our time where it really counts: in service. to pursue that on a regular basis. How to effectively set goals and utilize mentorships to achieve them. The importance of a curiosity and passion to serve the greater community.